On the Greek island of Samos, thousands of migrants and refugees from Africa feel trapped. They are disappointed with the long asylum procedures, leaving them in limbo in overcrowded camps amid horrid living conditions. Cold air blows over the island of Samos and heavy rain hits the overcrowded refugee camp set up on the hills, just outside the islands' capital of Vathy. Suzan Camolonie from Cameroon is nervously walking around, trying to warm herself on this frozen winter day. "I am very sick and begging for help," she says, close to tears. 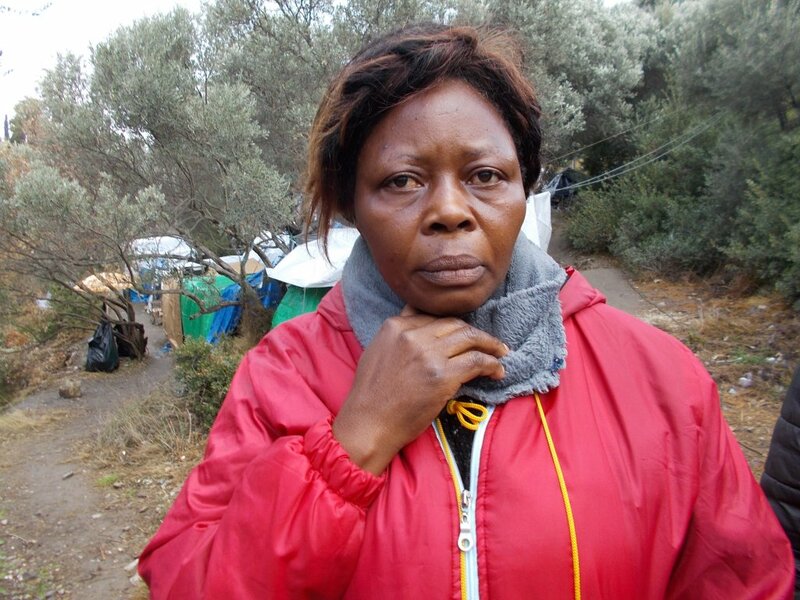 In October, Suzan crossed to Samos island through Turkey and applied for asylum. She doesn´t want to elaborate on her state of health, but she reveals this much: "I have seen many different doctors in Samos, but no one could help me. Finally I had to undergo surgery in a small hospital not far away from here, I don't know if it was really successful... I feel sick all the time, I have strong pain all over my body, no one can help me I´m afraid." Suzan is one of about 4,500 refugees and migrants stuck on the Greek island of Samos, just opposite the Turkish resort town of Kuşadası. Like most newcomers from Africa, Suzan is trying to survive in a provisional tent outside the official camp, which has already exceeded its capacity by six times. When rain comes through, she is freezing in her tent. "I am confronted with my own limits, I don´t know what to do," she says. At the beginning of the refugee crisis in 2015, thousands of Syrians fled to Samos and several neighboring Greek islands. Since then, the demographics in the camps have changed significantly: According to the latest UNHCR figures, most refugees now come Afghanistan and Iraq and African countries like Congo and Cameroon. When asked why they decided to make the difficult journey to Greece through Turkey, some African migrants get irritated or even annoyed. "Look, it’s not easy for us," says Marco Cabungo from Congo. 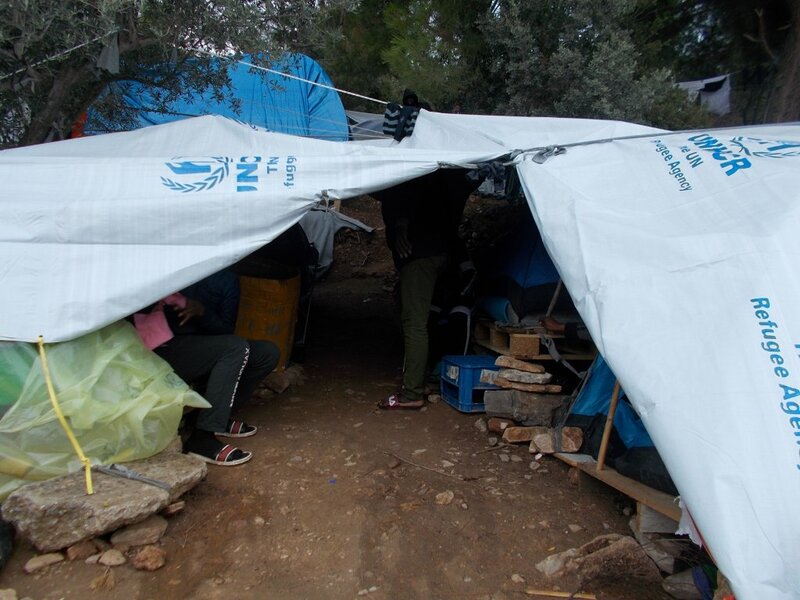 "We didn’t come to Greece because it was easy. We came here because we run away from our own country, because we want to be safe." Marco says that like him, many refugees from Congo have recently arrived on the island. But in the camp he also met people from Guinea, Zambia and Liberia, who have applied for asylum in Europe. Some of them are passing by, greeting Marco and saying: "Samos- no good…"
Bogdan Andrei, local coordinator for the NGO "Samos Volunteers," says it is only logical that the number of camp inhabitants from Africa on Samos is constantly rising: "Syrian people enjoy a fast-tracked procedure for their asylum cases. [This] leaves behind people from other nations." Overcrowding is becoming an increasingly severe problem because the number of arrivals is rising. This is because it is becoming harder and harder to cross into Italy via the "Libyan route" - so many migrants from Africa are seeking out new routes to Europe. "Therefore they are crossing from Turkey to the Greek islands," Bogdan says. Outside the camp, "Samos Volunteers" offers language courses and various leisure activities, including guitar lessons and breakdance events. "We are trying to be as inclusive as possible and actually never had problem or conflicts between nationalities in our premises," Bogdan says. He adds that that while most people are sticking to their own ethnic groups, there are also friendships developing between refugees and migrants of different nationalities. Edwin from Ghana has been stuck in the camp for more than a year. He criticizes the food, the living conditions in his tent and even more about long asylum procedures. 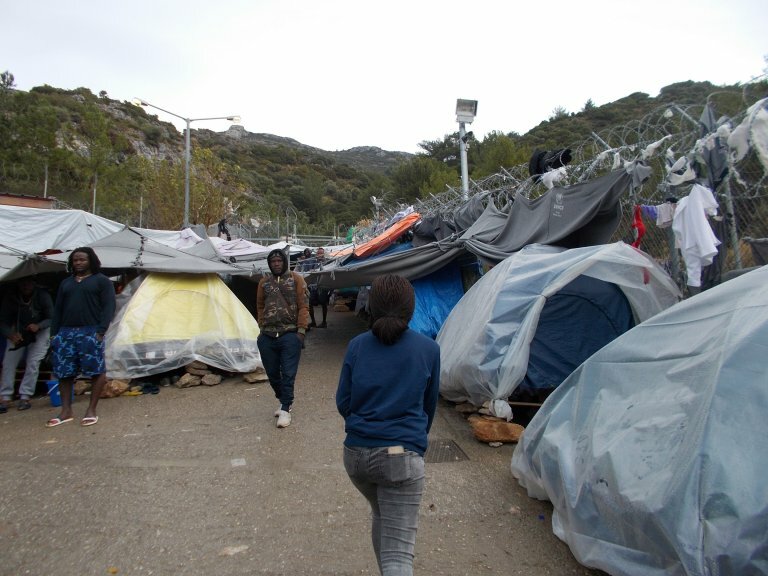 "I still have no chance to be interviewed by asylum authorities here in Samos," he says. The long wait has left Edwin in limbo. He is becoming more and more frustrated. "What I need is an opportunity to go to Athens, to work and feed myself, to have a decent life," he says. A local officer, who does not want to mention his name, confirms that procedures may take a long time. If someone applies for asylum right now, he says, they likely won’t get an interview appointment before September 2019.